Lewis Carroll's "Alice's Adventures in Wonderland"
Alice's Adventures in Wonderland - Illustrated. Unabridged. Source of legend and lyric, reference and conjecture, Alice's Adventures in Wonderland is for most children pure pleasure in prose. 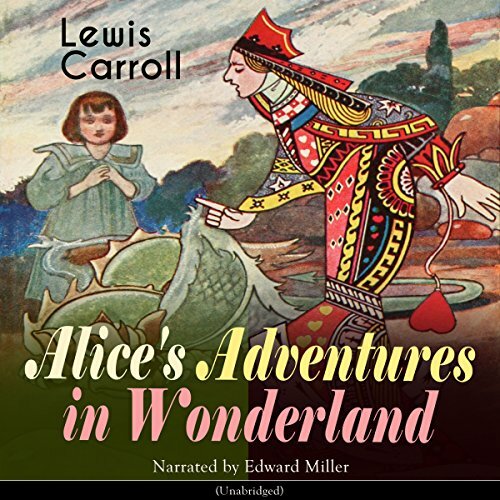 While adults try to decipher Lewis Carroll's putative use of complex mathematical codes in the text, or debate his alleged use of opium, young readers simply dive with Alice through the rabbit hole, pursuing "The dream-child moving through a land / Of wonders wild and new." 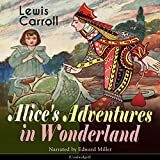 There they encounter the White Rabbit, the Queen of Hearts, the Mock Turtle, and the Mad Hatter, among a multitude of other characters--extinct, fantastical, and commonplace creatures. Alice journeys through this Wonderland, trying to fathom the meaning of her strange experiences. But they turn out to be "curiouser and curiouser," seemingly without moral or sense. About Anthony Browne (Illustrator) : Anthony Browne is a published author and an illustrator of children's books. Some of the published credits of Anthony Browne include Little Beauty, Piggybook, The Tunnel. 9/18/2017 Ajza jaan said: This is love with the world wonders which is always inspiring hearts. In the custom writing service few awesome resources are beautifully drafted. 3/10/2010 Alice Kim said: For some reason, I felt confused, flustered, and frustrated when I read this book. This book reminded me of my frustrating workplace I used to work at. I was in wonderland, after all! 1/29/2010 Alison Getchell said: A childhood favorite and a staple in my bookshelf collection. 11/7/2009 J.H. Everett said: Amazing on every level. Something to take a look at, even though he was not that original in the illustrations, his interpretations are fantastic! Add your reply to J.H. 11/2/2009 Bong Redila said: Steadman's illustration is as brilliant and extraordinary as Lewis Carroll's classic tale. 1/9/2009 Jc Scott said: Big favorite, never too old for it. 10/27/2008 Susie Sawyer said: Amazing illustrations! 2/21/2008 pixie q. said: Illustrators like Angel are rare and invaluable. Don't just read this book, study it.. and Alice will visit your dreams, hand in hand with a Gryphon and the Cheshire Cat.